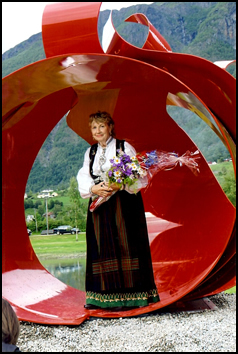 The overlay of circles symbolizes the strong bonds that connect generations of Norwegian emigrants to America to their roots and to their family members who stayed behind. The flames represent energy and search for the new as they dissolve into the vast emptiness of the sky. 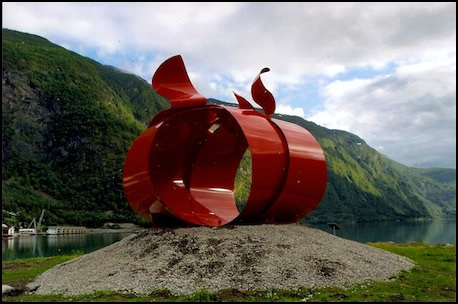 Kati was honored to install her sculpture "Jonsok" in its permanent site, June 23, 2011, in Skjolden, Norway.